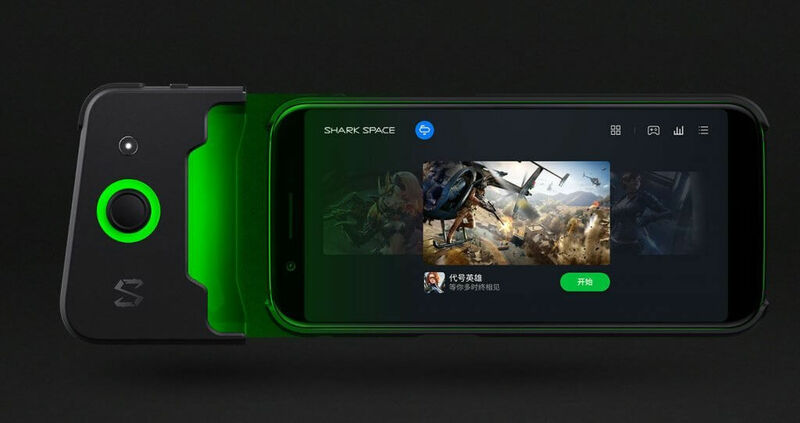 Xiaomi-backed Black Shark has launched a new gaming smartphone in China. BlackShark has brought out the best of the Best Gaming device with customized hardware, a new type of cooling system and Gaming Controllers. 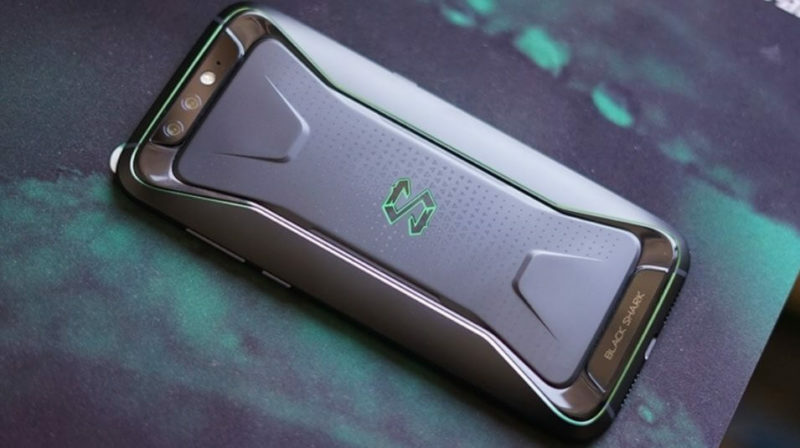 The Black Shark gaming phone measures 161.6 x 75.4 x 9.25mm and it weighs 190 grams. 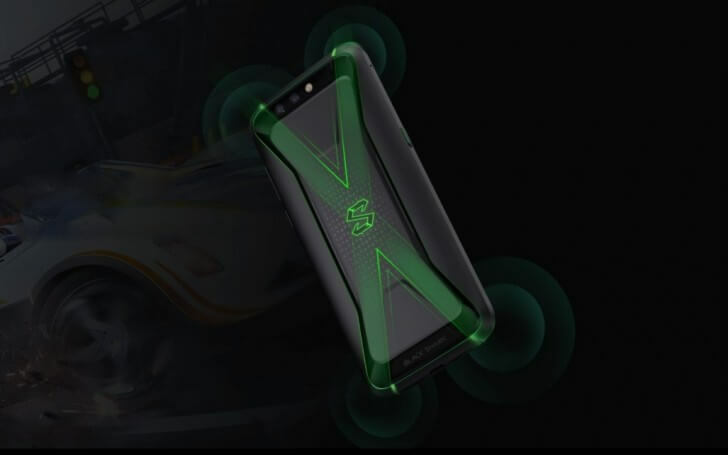 Blackshark front is ordinary like any other Smartphone but it has Aircraft like Rear design has a dedicated Shark Key that allow users to access impressive gaming zone and additional you can attached Shark Gaming control for stress free Gaming Experience. In the Rear It has noticeable green colored glowing “S” logo at the center. 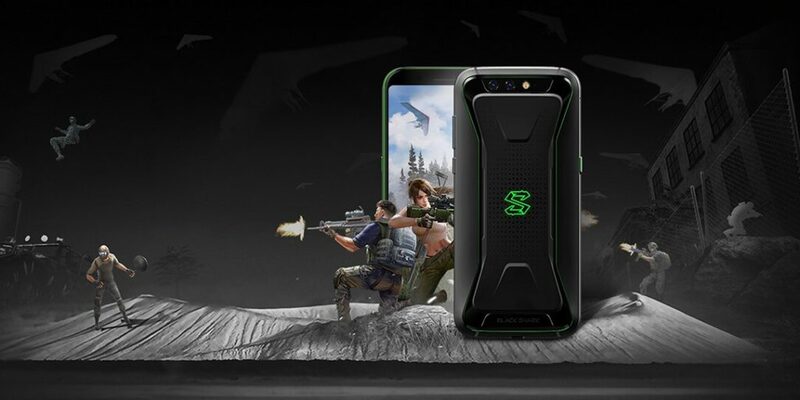 The Black Shark gaming phone features a 5.99-inch an aspect ratio of 18:9 InCell display that supports Full HD+ resolution. It supports 97% of DCI-P3 color gamut. The Black Shark has one speaker, but the earpiece acts as a second one for a Biso stereo sound. 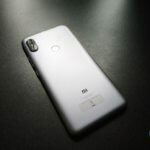 The company has also opted for ‘X-style’ antenna design to ensure that there is no signal blocking issues when holding the phone in landscape or vertical orientation, it also help for a better grip too. The smartphone is powered by the latest Qualcomm Snapdragon 845 SoC and comes in two versions – 6 GB RAM + 64 GB Storage or 8 GB RAM + 128 GB Storage. The Smartphone is specially for Long gaming hours and that’s why it features a liquid cooling system that can reduce the CPU core temperature by up to 8 degrees. 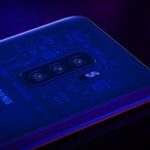 As per photography, the smartphone is equipped with a dual-camera setup at the rear with a 12-megapixel primary sensor with f/1.75 aperture, and a 20-megapixel secondary sensor with f/1.75 aperture. The Front Camera is equipped with 20-megapixel selfie camera with f/2.2 aperture. The Black Shark Gaming phone runs on JOY UI, a customized Android Oreo ROM that includes some core features of the MIUI. The Fingerprint scanner at the front also works as silent mode, DND and more. It houses a 4,000mAh battery which is equipped with 18W fast charging support through Quick Charge 3.0. 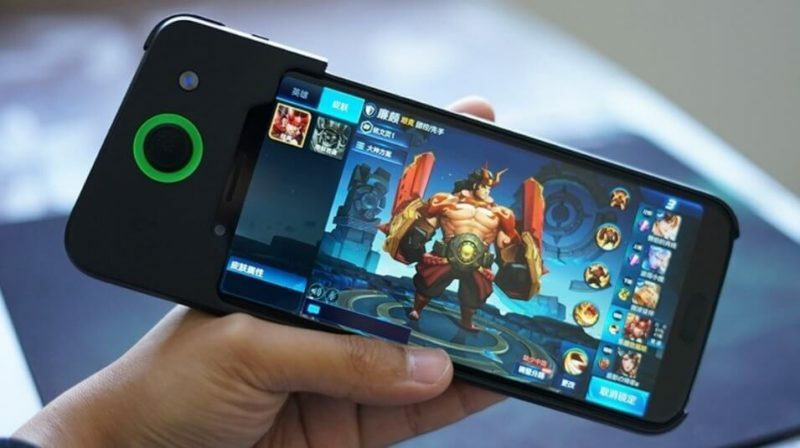 The Black Shark Phone is a serious gaming device which can be connected to its Bluetooth-enabled gaming Shark GamePad at the top portion of the phone. The Gamepad offers a joystick, a trigger and a 340mAh battery that offers 30 hours of power. 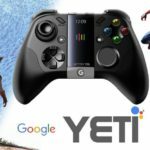 It uses Bluetooth 4.0 and can be connected to any Android device 4.4 or above. 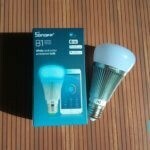 You need to purchased it separately, and it is priced at $31 (Rs 1,860 approximately). 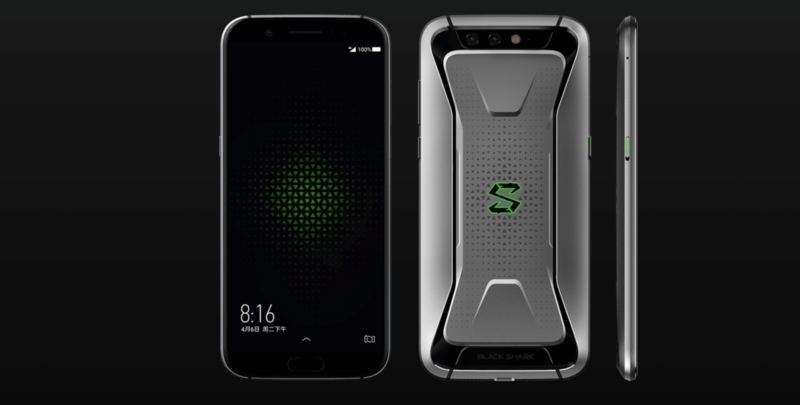 The Black Shark gaming Smartphone standard version with 6GB of RAM has been priced at $500 ( Rs 31,000) and a higher Variant with 8GB of RAM is priced at $550 (Rs 37,000) The Smartphone is launched for China only as for now there is no details about its Global Launch.